I always tell my kids that they are very lucky that they can enjoy the things that I never had when I was growing up. I tell them these things so that they could draw some inspiration from it. Not all children are fortunate enough to have things that they can enjoy as kids. I told them that I never owned a shoes when I was in elementary because my parents can't afford to buy all nine kids each a pair. I remember when I was in High School, a friend of mine lent me one of her dresses just so I could attend our JS Prom. I never a had the luxury to wear any of the gorgeous prom gown that you can see nowadays. I have no regrets with my experiences though but thankful that we can provide for our children. They don't have to go through what I have gone through in life, God-willing. We never had the opportunity to dress up like that when we left school, I would have loved to, they are gorgeous dresses. My sister loved all of those types of events, I never attended any of them. They are pretty and the events I am sure are fun. I will share this with a friend who is going to some kind of summer party where they all get to dress up. I am in love with that black dress featured in the review. Now, to find a reason to wear it! I never attended any of those events myself. I do have to attend formal events now and would love to have the black dress. 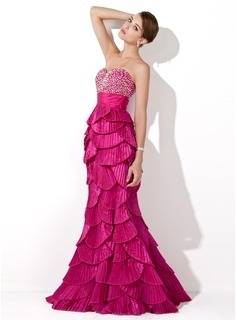 People who attends a homecoming especially ladies wants to look great and these dresses are elegant and classy. I love that pink mermaid dress, it's very unique. Very lovely choices, I bet they have more pretty dresses online. At least I can share this with one of my niece when they have prom someday. Those dresses are beautiful but I will go with the last one! Those are lovely choice of dresses. This is really perfect for homecoming and even to any formal ball. Those are beautiful dresses for homecoming!